G'day mates, Gee this town of Goolwa is full of interesting things. We went for a walk down the main street towards the wharf area. 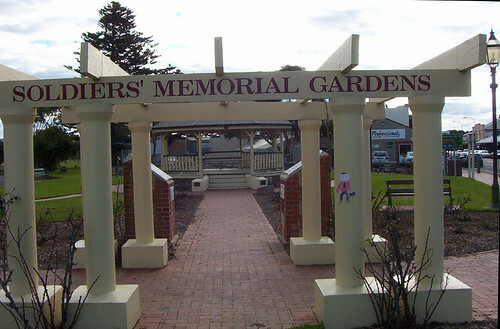 We came to a lovely park area which has lots of memorials for Goolwa people who died in the wars. 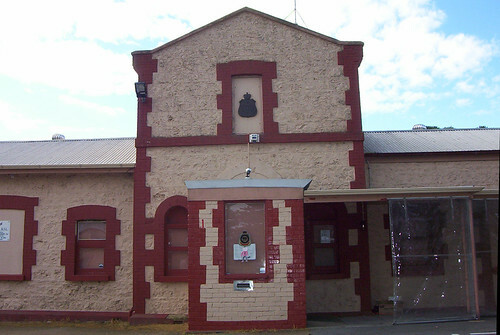 Across the road from the Memorial Gardens was the Returned and Servicemens League building which originally was the stables for the horses who pulled the 1st Railway carriage. Dave is the Vice-President of the Goolwa RSL. Dave was in the regular army and served in the Malaysian war. Vicki and Dave go there after work every Friday night. We went down a path and saw an old house that Vicki told me was originally the Railway Superintendent's house. 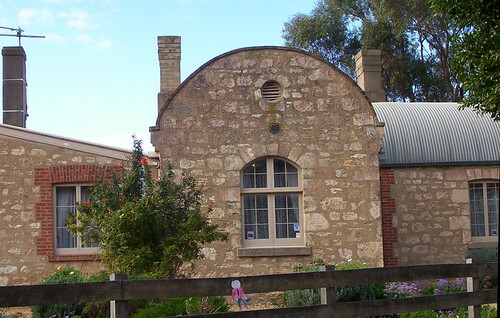 The first public railway in Australia started in Goolwa and the superintendent lived in this barrel-roofed house. And next to there was the Signal Point Interpretive Centre. 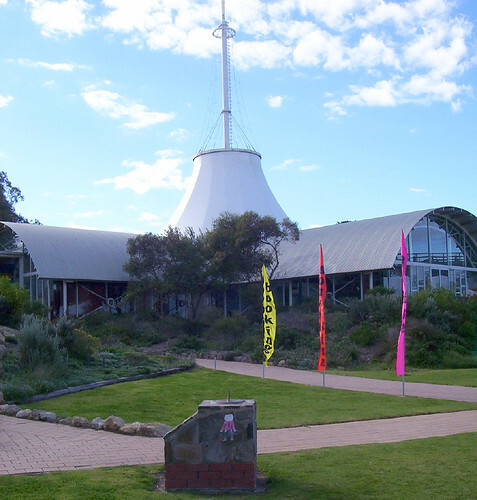 This has hands-on displays of the Murray River and Paddle Steamer trade from Goolwa.